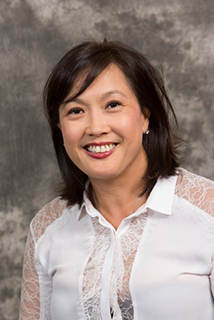 Dr. Antonett M. Thai completed her undergraduate studies at California State University of Fullerton. She earned her D.D.S. degree from New York University College of Dentistry, where she received the American Association of Endodontists Student Achievement Award and graduated with honors. She then completed a general practice residency at the VA Hospital in New York. Dr. Thai Received her Endodontic Specialty Certificate at New York University College of Dentistry. She has presented her research on histological studies of periradicular tissues at the American Association of Endodontics and at the Tri-State Resident’s Symposium. Dr. Thai is an active member of the American Dental Association and the American Association of Endodontics. She is a Lieutenant in the U.S. Naval Reserves. Her interests include fitness, travel, cooking, and music. Dr. Thai participates in several community and volunteer service programs.